In recent weeks we’ve covered what a dry winter and spring will do to lamb and cattle markets, but what about mutton? While mutton price are still ok, continued dry weather will continue could see prices fall, but there remains conjecture about how far and for how long. 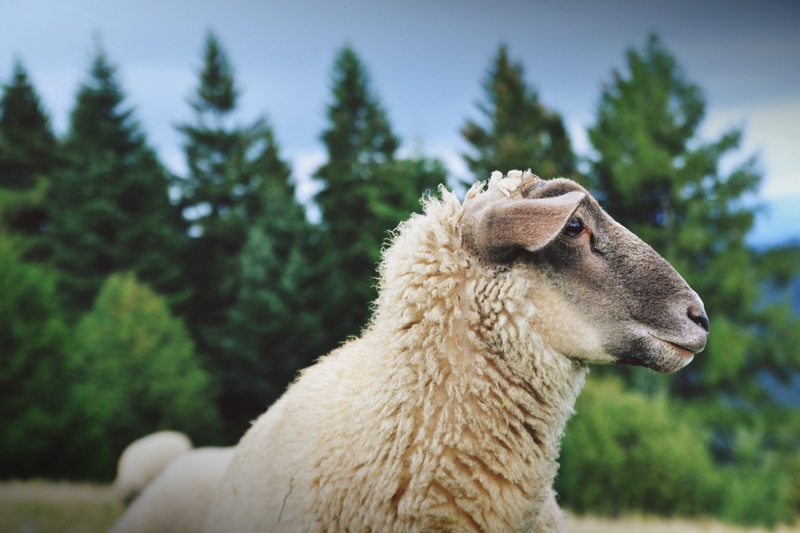 While mutton markets have participated in the decline in ovine markets since mid-June, unlike lamb markets, mutton values have managed to remain strong relative to last year’s levels. Figure 1 shows the National Mutton Indicator (NMI), which last week fell to a six month low of 395¢/kg cwt. The NMI is, however, still sitting at a 5.6% premium to the same week last year, and a very healthy 18% premium to the five year average. Additionally, the NMI is still stronger than almost any other time between 2012 and 2017. Mutton prices are not that cheap, despite having lost over 100¢ in the last six weeks. Figure 1 shows that on average the NMI falls 28% from the start of August to the low, which is usually set at the end of October. A 28% fall from the current value would put the NMI at 285¢/kg cwt, the lowest level since early 2016. A mutton prices with a two in front is not unusual for the spring, it has been there in four of the last five years. In 2016 the mutton market eased a little, but found solid support at 350¢ as the good season and flock rebuild supported prices. 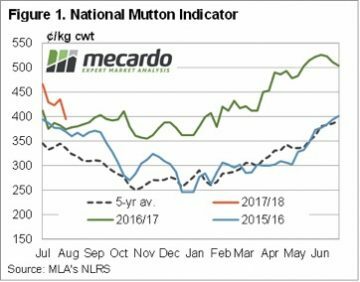 From 2012-2015 the NMI averaged 230¢/kg cwt in October, so it’s the exception for mutton to be valued at better than 300¢ in the spring. Continued dry weather is also likely to impact the NMI spread to the Eastern States Trade Lamb Indicator (ESTLI). Figure 2 shows that the NMI is still at a relatively strong spread to the ESTLI, sitting at a 31% discount. Despite being down from a 22% discount, the NMI is likely to ease further, with a 40% discount closer to the norm. Mutton prices remain relatively strong compared to historical levels and the ESTLI. On average mutton prices fall 28% from the end of August to late October. A dry spring could see mutton prices as low as 250¢, making current prices very attractive. Obviously there is no guarantee that Australian sheep areas will have a dry spring. 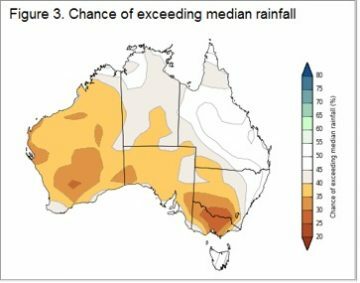 The BOM have been in pretty good form this year, and their latest forecast doesn’t paint a rosy picture (figure 3). Simply based on historical mutton prices during strong supply, we would put the NMI in the 200-250¢/kg cwt range. 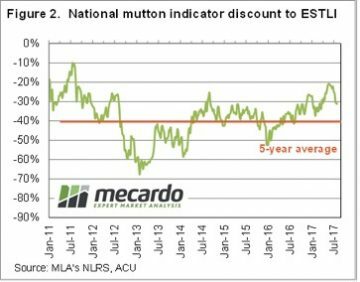 If we take our forecast for the ESTLI in a dry spring, of 450-500¢, and apply an average 40% discount for mutton, it gives an NMI of 270-320¢/kg cwt. The worst the NMI discount has been in spring in the last five years is 50% discount, which would put it at 225-275¢/kg cwt. If prices are headed to this level, it makes a solid argument to sell surplus sheep into the current market rather than hold to the spring.